A foot massager is something you might buy from a late night infomercial three easy payments of $5.00. Perhaps you’ve lingered in Walmart on Christmas Eve wondering if your visiting auntie would like it, because you haven’t seen her since she was the sort of person who didn’t need one. Either way, it’s probably the sort of thing that may collect dust under your bed if you purchased it on television. If your niece bought it for you the Christmas you slept on her hide-a-bed with the family dog, you could keep that thing for decades. I can’t be without this foot massager. Is everyone okay with that? I inherited the foot massager in September, 2013. Dad had passed away the year before, and Mom had moved to Toronto, nearer to two of my brothers. The house had been vacant for a year. On short notice, one of my brothers decided to fly to Regina to prepare the house for sale. The rest of us rallied to join him in one of the worst tasks siblings face together. At that time, I was seventy-five percent short of my wits. Finances were bad, and my divorce was increasingly nasty. I faltered at my job (it was full commission), and lived using savings and credit. Every day I drove across the city several times to accommodate Ex’s decision to live near The Joneses. Regardless, I flew to meet with my brothers in Regina. My parents have a lot of stuff. A lot. Of Stuff. We had gradually culled much of it over the decades. Don’t judge me (at least not for that – the plot thickens, below). As an example, I remember what I call the “Great Pickle Jar Debate of 1992”. Does not convey the state of my Dad’s cold room in 1992. Pickle jars have become trendy. 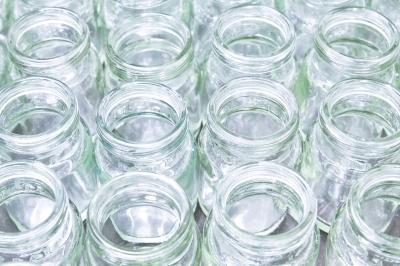 An internet search for “cluttered jars pics” yields hundreds of Etsy-type ideas about organization. NOT the sort of thing that inspires pickle jar debates. Dad was from a generation that saved stuff. Once, they were heroes of reduce, reuse and recycle. Now, many of them are masters of save-everything-because-you-just-never-know. In 1992 I lived near my parents. I was old enough to stick my nose in their business, but young enough to ban them from mine. I called Dad to defend his extensive collection of de-labelled, sterilized, empty Bick’s Pickle jars. He lost the debate (although not without a fight, bless him). Progress in the save-my-parents-from-their-stuff campaign was slow. Over the years, I resorted to removing other people’s stuff. My stuff. Previous owners’ stuff. I don’t think they noticed. This is not the part where I think I really deserve judgement. I did the clandestine stuff removal because I spent the most time with my parents. Know this: I had supporters. Mom had downsized to a one bedroom suite in a Toronto retirement home. This purge had, not her blessing, but consent. Mom loves beautiful things. She loves collecting beautiful things. She had lots of beautiful things. Lots. How to cope? Hire a concierge. The concierge advised each of us to choose a sticker colour (mine was hot neon pink). We would put our sticker on items we wanted. We would sort out any counterclaims together. The concierge service would sell and otherwise dispose of the remainder. So, today’s anger management tip involves stickers. And stuff. And overwhelmed siblings. And a sad story about how families can break down, right when members need each other most. The last time I fought with my brother, we were adults. Pretty old to get in a wrestling match, but it was long ago. It was over a bottle of shampoo; stuff, again, on the surface. This fight was about stickers and stuff. Oh, and the crushing pressure of dealing with life as we knew it dissolving before our eyes. Mom has good taste, for the most part. Her glass castle was an exception. I wish I had a picture. Words can not convey the hideousness of this object. We teased her, but Mom, bless her heart, is loyal to her stuff, and we all endured the castle (and she, our teasing) for decades. Our family coined the term “smart assery”. We are accomplished in the field. We can be witty and appreciative when someone is, as Robertson Davies put it, “visited by a good one”, and fires a particularly clever shot. We can also be cruel. The line is blurry, and mostly confusing. We laugh a lot. When we fight, it’s nasty. Neon pink stickers, I’m afraid, were abundant. I felt weirdly like I could hang on to my past by claiming things. My plan was to claim stuff and then cull, until I had a better grasp on the situation, as it were. I’m pretty sure it must have looked like I was grabbing everything I could. the time-out doll my mom made (remember those? I’m totally keeping it). We paused, my sister-in-law, my niece and I, for a break. And we came up with a practical joke to play on my brother. I need a pseudonym. I’ll call this brother Adrian Monk, from the television series Monk. My brother used to vacuum his condo so that the nap of the carpet went in one direction. We used to torment him by dancing on it, leaving footprints everywhere. Part of my brother’s charm (which I miss, painfully), is this neurotic need for neatness. Like Adrian Monk. So Adrian was busily fussing over details the concierge assured him they would manage. He was not applying his neon green stickers to stuff. My accomplices and I decided to plaster his stickers all over the infamous glass castle. Simple. We all forgot about our prank and carried on. I don’t completely understand what happened next. Adrian called me downstairs. He stood, red-faced angry, before the glass castle. I don’t remember how things happened, exactly. I remember feeling confused. I thought, “his green neon stickers look cool among my sea of hot pink neon stickers”. I laughed awkwardly. It was a joke. Adrian, the funniest person in the family, didn’t think it was funny. This won’t hurt, or cause trouble; it will keep him away. It was the foot massager. I winged it, frisbee-style, at his torso, as he came up the stairs. I remember thinking, “don’t throw it hard, and don’t break the framed posters on the wall”. Then I swore some more and took off as he became even more enraged. Adrian pinned me up against the wall. Another brother got between us and tried to pull Adrian away. I remember the rage in Adrian’s eyes. I wonder what I looked like…? And I kept swearing at him and saying horrible things that have nothing to do with stuff or hot neon anything stickers. Where does that come from…? That’s enough detail. Somehow, we parted, and I, shaking, crying and still swearing, packed my things and left. I don’t know what he did. I haven’t asked. I haven’t seen or heard from my brother Adrian since. Three weeks later, I had just the teeniest bit of what I guess you might call a nervous breakdown. I’ve been off work and in treatment ever since. Adrian wasn’t the cause. But I know our fight was a straw on the proverbial camel’s back. I’m not angry at my brother. I miss him. I’m sad this happened. I don’t blame or hold a grudge. I just wonder why, and how. And then I think of that wooden foot massager and all those things I said. I don’t excuse his violence against me. I just sit in that memory sometimes and feel sad. I thought about that foot massager and how it was gone, along with that house, and all of its energy and memories. I never took the chance to walk through the house, empty, and say my good bye. My only good bye was one I never intended to speak. I can’t know what he wants, though I would listen, if he told me. At Easter, another brother kindly packed his truck with the stuff I had claimed, and drove with his family to visit me. My oldest declared it “the best Easter, ever”. And when they left, I started to unpack boxes. Among them, I found the wooden foot massager. No hot neon pink sticker. I pick it up sometimes, to feel its weight, and its edges – the mechanism of its rollers. It is, actually, much bigger and heavier than I thought. I find myself holding on to it. After all, what would I do with it? I can’t send it back. The return address is dissolved into memory for me and my family. Who would take it back? I can only guess who the sender might have been. Some things just don’t go away so easily. They come into your life, heavier and more cumbersome than you expect them to be. This is a foot massager I might use. I know I won’t hide it under my bed. I need it where I can see it. I need to remember its weight, and to take care of it. I don’t want to break any more stuff with it. ← Tell me something, old friend: why are you fighting? Oh my gosh. The first post of yours I’ve read, and what a one. Wonderful, terrible. Please, please, don’t hold on to that foot massager and nurture your guilt–and–resentment? And pick up the stupid phone, since hell may freeze before he thaws. Plus: Thank you so much for Following The Last Half–I’m especially flattered by the Follow now that I see what a brilliant writer you are!